A little over two years ago Amazon introduced a feature called Kindle Unlimited; in each day’s post, I have a line underneath each book title to let you know if a book is part of the Kindle Unlimited program or not. 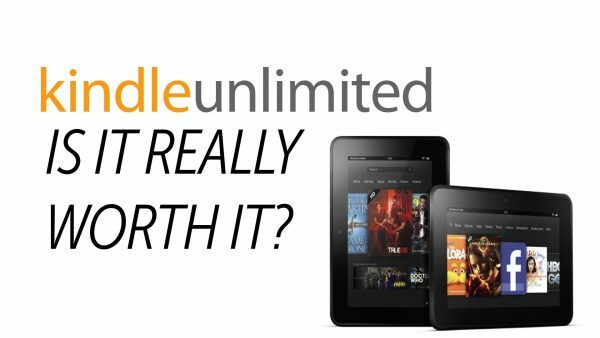 However, I’ve received quite a few emails over the past month from people asking me to explain Kindle Unlimited – so, what is it? Basically, Kindle Unlimited is a program where for just $9.99 per month, you can read as much as you want from almost 1.4 million Kindle books as well as listen to a little over 93,000 Audible audiobooks – as many or as few titles as you want for the $9.99 per month fee; for those books on the blog that say “Yes” in red as being part of the program, if you are a Kindle Unlimited member you can read that book for free. As I type up this post a little more than 40% of all Kindle titles are in the program. I wouldn’t categorize these offerings as a bunch of books you’ve never heard of, as there are a lot of bestsellers on the list. Some independent authors love it as it has allowed more people to check out their work (and buy their other titles), some independent authors absolutely hate it as it cuts into their royalty (i.e., salary), and there are other independent authors who refuse to enroll their books in the program. I could argue the merits and cons of each position, but I digress as that’s not the purpose of this post. You can participate with your Kindle, Fire, or Kindle reading app – yes, that includes your iPhone, Android phone, etc., and Amazon will let you try it for free for 30 days. If you don’t like it or not using all of the benefits of the program, just cancel it before the 30 days or up and you won’t be charged. I’m a member of Kindle Unlimited and I certainly get more than $9.99 per month of books to read: since my family reads a lot, also, we’re really saving a lot of money each month.